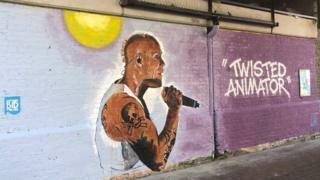 A mural paying tribute to The Prodigy singer Keith Flint has been painted in his home county. Flint, who sang lead vocals on the band's number one singles Breathe and Firestarter, was found dead on 4 March. Southend Business Improvement District (BID) commissioned the work under a railway bridge in the Essex town to remember the neon-haired vocalist. An inquest into his death opened last week and heard a provisional cause of death was from hanging. Artist John Bulley painted the mural, which shows Flint performing alongside a poem paying tribute to him, under the bridge on Southend High Street. Mr Bulley said: "It is an iconic image. There are certain elements about him which people instantly recognise. "If you paint Bob Marley or David Bowie people instantly know who it is and Keith Flint is like that." 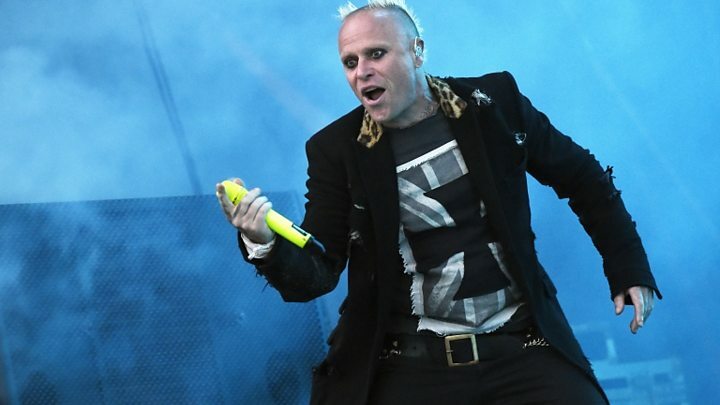 BID manager Alison Dewey said: "I thought it might be a nice tribute to a brilliant Essex frontman and I, like many people of my generation who experienced the rave scene of the late 1980s and 1990s, loved The Prodigy. "John's painting is a wonderful way to remember Keith." Flint was born in Redbridge, north-east London, and later moved to Braintree where The Prodigy formed in 1990. A petition has also been launched for a statue of the frontman to be erected in his home town of Braintree.